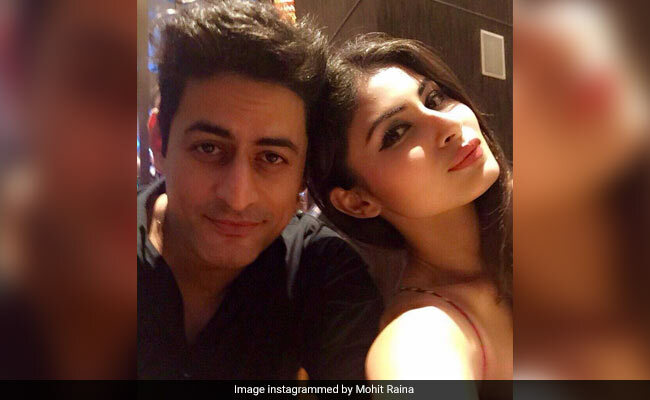 Mohit Raina denied that he's dating actress Mouni Roy. Mohit shared that Mouni, whom he met on the sets of popular TV show Devon Ke Dev... Mahadev, is 'only a very special friend to him.' In his interview with Indian Express, Mohit said, "I have always maintained that my personal and professional life is completely apart. As for Mouni, it is only the assumptions of people that we are dating. I have a lot of friends but not all are from the industry and you can say that the only close celebrity friend I have is her. We genuinely have a very strong friendship and utmost respect for each other." Mouni and Mohit are often spotted at various parties together. They even celebrated last year's Diwali with friends and colleagues, the pictures of which were shared on social media and later Mohit Instagrammed a photo featuring himself and Mouni and captioned it "Dil to bachha hain ji." Of posting pictures together, Mohit said, "Whenever we are spotted together or we post pictures of each other, everyone assumes that there's something more but aisa kuch bhi nahi hai. Mouni was a co-star who became a very close friend and continues to be so," reports Indian Express. Mohit added: "We are similar people with similar stories. Mouni and I, both are from non-filmy families and come from really small towns. She has her father's blessing on her, who is no more and so is the case with me." Mohit Raina will soon feature in TV show 21 Sarfarosh: Saragarhi 1897. The show is slated to air on February 12th. Of dating someone currently, Mohit said, "At the moment, I am dating 20 people all sardars. Trust me there is not a single woman in the team and we all have been toiling hard every day. We are so much into our characters that we sometimes do not take showers or cut nails to look like army men on the war field. You can't think about being in a relationship when you are living like this." Mouni, who is popularly known for her role in TV show Naagin, will make her Bollywood debut with Akshay Kumar's Gold. She will also feature in much-awaited film Brahmastra, co-starring Ranbir Kapoor, Alia Bhatt and Amitabh Bachchan.